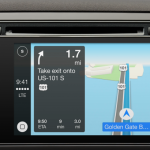 Apple’s “iOS in the Car” CarPlay feature might not be making an appearance on Volkswagen’s 2015 VW line of cars, however this is reportedly set to change with the company’s 2016 models. An announcement from the two companies is expected in the coming months, but specifics on which models will receive CarPlay are currently unavailable, except sources say that Volkswagen is targeting CarPlay for 2016 models, not 2015 versions. Volkswagen and Apple were early partners in the Cupertino-company’s quest for integrating iPods into cars, so the lack of CarPlay presence thus far in Volkswagen’s cars is interesting. After unveiling the product in March, Cupertino brought CarPlay to iOS with its iOS 7.1 software update. So far, a number of vehicles – including the Hyundai Sonata, and models from Audi, Alfa Romeo, Chrysler, and others – have confirmed support for the feature, and CarPlay aftermarket systems are also set to launch from Alpine and Pioneer. 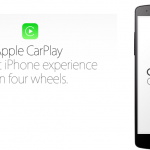 More recently, a video from MotoMan TV demoing Apple’s CarPlay hit the Web. We’ve embedded it below for your viewing pleasure. We’ll let you know if we hear anything concerning an Apple-Volkswagen partnership. In the meantime, see: Apple is launching a new retail store to Beavercreek, Ohio this weekend, With the NFL season just around the corner, ESPN updates its Fantasy Football app, and Apple, IBM announce significant partnership to push iOS devices for business.